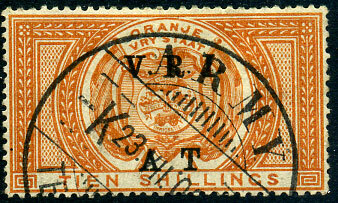 dated K 23 VII 00 on 10/- orange postal fiscal ovp'd both V.R.I. 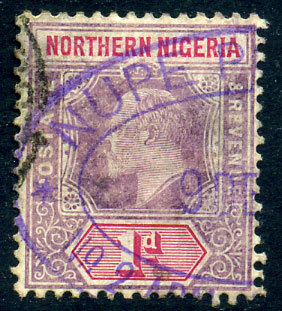 and A T.
(310.01) in purple ink on KG6 1/- (SG.196), possibly used on parcels (as in similar format to the parcel cancels used Nigeria). 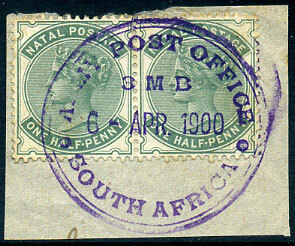 newly discovered left half purple ink d/ring cancel showing 9 DE date portion on 1906 KE7 1d MCA wmk (SG.21a), at top left partial black postal transit cancel. 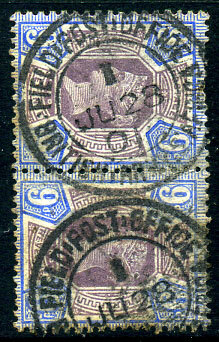 14 SEP 1903 on KE7 1d (SG.245). 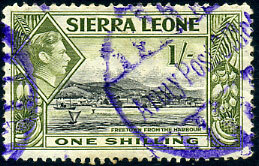 Temporary post office open for only 56 days period AU 12 1903 to OC 1 1903 during military manouevres. 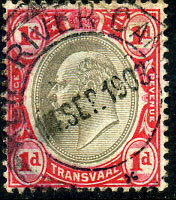 (320.02) FE 19 13 (ERD) on KGV 1d (SG.113). 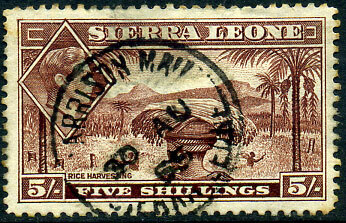 (320.04) */30 AU 55 on KG6 5/- (SG.198). 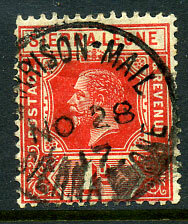 (320.02) NO 28 17 on KGV 1d (SG.113b).